FR COMPILATION AND CONTEMPTYY ROUND'S 1ST EP!!! Contains 12 songs for you listening pleasure! here are 3. Originaly on SPAM records, until everyone died. 12 dark, slow instrumentals to liven up any party! Samples from anything from SF to Afgahnastani music. actually smell fresh cut grass!" Contains 7 songs and a Kraft single! 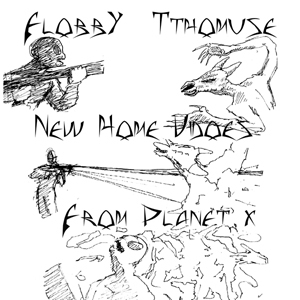 Flobbyﾕs second album. Yet again bringing you into his dark, odd little world. Anf this time the bats are bigger! 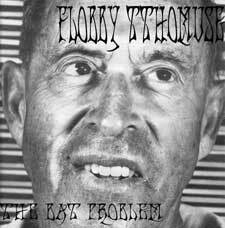 Flobby now resides in Shizuoka Japan, and is part ﾒBeauf la Teteﾓ, a local monthly event of local hip hop and noise artists. Shizuoka MC and producer Flobby Tthomuse, team up for this split vinyl. Using strictly Japanese samples (everything from soundtracks to anime), they create an odd mix of Flobbyﾕs dark slow instrumentals and Xzoomeﾕs somewhat catchy hip hop tracks. * This does not include shipping for International (not Japan) orders.